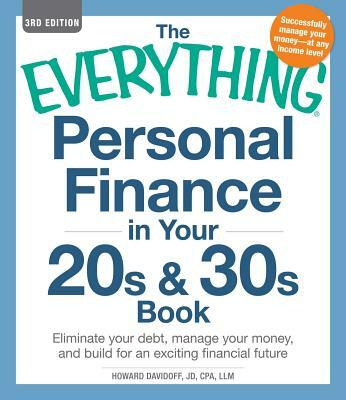 Get control of your finances - and your future! Do you feel like you'll never pay off your student loans? Worried about your mounting credit card debt? Wondering when you'll ever make enough money to stop living paycheck to paycheck? You're not alone - millions of young Americans are finding it hard to save for the future and still pay today's bills on time. You'll also learn how the Consumer Financial Protection Bureau can help you navigate the often-confusing world of financial service products. With this easy-to-use guide, you'll learn how to manage, save, and invest wisely - starting today! Howard Davidoff, CPA, JD, LLM, is a personal finance planning professional and attorney with thirty years of experience in the money management field. He also regularly teaches courses on accounting and income tax laws at Hofstra University and Brooklyn College, and through continuing education programs.